Director of Public Safety Robert Sabattis replaces long-time Director Hugh Harris. Sabattis is already focusing on having officers interact more with students. For the first time since 1982, Lafayette has a new director of Public Safety. Robert Sabattis has big ideas for the college in the works. He replaces Hugh Harris, who is now serving Public Safety in a consulting role. Director Sabattis spent over 25 years in law enforcement in Union Township, New Jersey, during which he also earned his law degree. A decade of his time there was spent working in the narcotics department, going undercover at times, to catch those involved in the cocaine business. Sabattis practiced law for the next four years until the opportunity to get back into law enforcement presented itself: by serving as director of public safety at the New Jersey Institute of Technology. He served there for five and a half years. When the opening for a new director of Public Safety at Lafayette College came along, “Bob Sabattis’ impressive credentials, educational background, experience and leadership working in higher education and his police work in Union Township over two-plus decades were very well thought of by the Lafayette Search Committee,” according to Mitchell Wein, Lafayette’s vice president of Finance and Administration. Sabattis hopes to build off of Harris’ progress. A main goal is for his officers to interact more with students, rather than students interacting with officers only when something has gone wrong. For example, the security at the annual Block Party is usually contracted out, but this year Lafayette officers will serve, ensuring everything going smoothly and providing officers with a chance to interact positively with everyday students. Sabattis also plans to work with the heads of Residence Life and Student Life to create more positive interactions with students. In addition, he is the creator of a new Public Safety Twitter account (@lafcolcops) in which students can directly get important information and communicate with the officers. Besides working with students, Public Safety also closely works with the Easton Police Department. 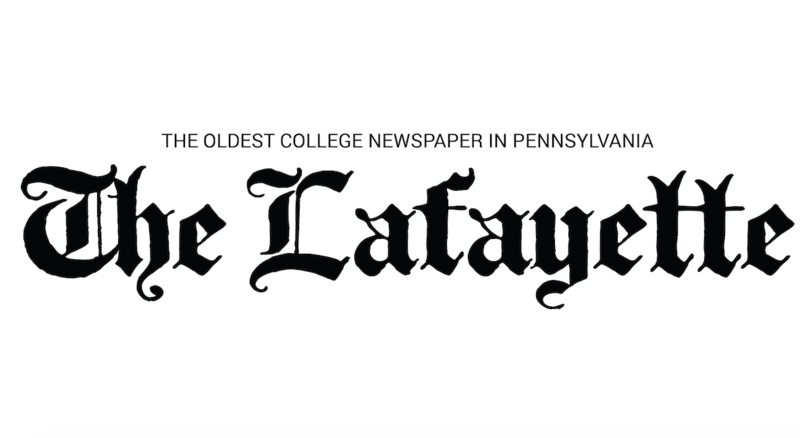 Sabattis commented on the outstandingly close relationship Lafayette College has with them as well as with the fire department and the EMS unit. Everyone is very focused on maintaining the historically safe campus and Sabattis hopes to make the campus even more secure and better. I think the fact that we have public safety in our communities is incredible. I think it would be awesome to have officers interact more with students. I think it creates a safer environment and allows the students to approach them if they need help.